Note: I will preface this by saying any of the cards here MAY BE FAKE. Official spoilers for Oath of the Gatewatch has not started yet. I will analyze cards for the possibility that they may be real. Well, I’ll let you take that all in. In my personal opinion, these cards are probably real. 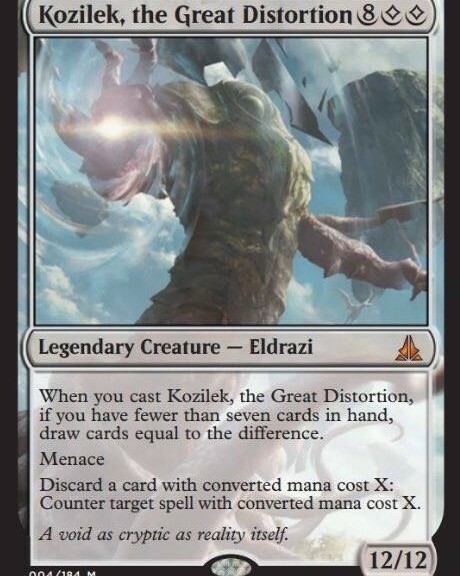 Kozilek has long been an expected card in Oath of the Gatewatch. It was implied by the flavor text in Ugin’s Insight that the other Eldrazi are on Zendikar. It has a cast trigger just like all other Eldrazi Titans. It draws cards similar to the old Kozilek. It is not indestructible. Ulamog was the most durable Eldrazi the last time. He has the same power and toughness as the old Kozilek (12/12). His activated ability “distorts reality,” as has been implied by various story articles. There is a lot of homage to the old Kozilek. A convincing parody is a lot easier than a convincing new card. We don’t know what that star mana means, this card’s credibility is almost entirely predicated on Wastes being real. This is an incredibly good quality scan of the card. It is extremely difficult to get this quality of card so early. My final thoughts are that you can think whatever you want about this Kozilek, but even if it is real, there are not a lot of financial implications here. It doesn’t solve any problems decks had previously, but it looks like it would be a great, flashy mythic to sell a small, winter set. Wastes is an interesting one. As I type this up, the jury is out on what this land actually even does. Avoids the Barry’s Land dilemma. 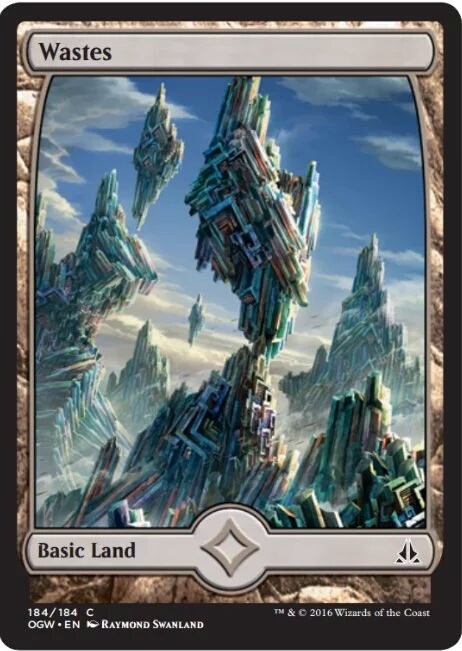 This is a basic land with no basic land type. This is likely to keep cards like Tribal Flames from scaling more. This is a common, not a “basic land” rarity. It lends it to a similar scheme to “Snow lands” in Ice Age. Raymond Swanland is known to do important face cards. Most recently, he did Haven of the Spirit Dragon and Ugin, the Spirit Dragon. If this makes colorless mana, then it is the much-desired basic land that people wanted for colorless EDH decks. Wizards has never done another basic land other than the five originally in Alpha. This basic land would be incredibly parasitic and unlikely to ever be seen outside of Oath of the Gatewatch. It’s a common and not a basic land rarity. It’s likely an oversight of someone making the fake. It’s the last card in the set but it’s unlikely there is only one picture. If there is one for each brood, Kozilek’s should be 183 instead of 184 because Ulamog comes after Kozilek alphabetically. Financial relevance is a lot higher for Wastes than Kozilek. If this card is a common and not a basic land rarity, it will be extremely coveted. A new basic land would be extremely desirable for many. I would be unlikely to trade or sell any foil Wastes that I open, because there is no precedent to where its price tag may end up. While this very early for spoilers, it has a lot of people talking, and if these cards are real, then there could be a lot of interesting interactions in Oath of the Gatewatch. If this is another set with very parasitic mechanics, we could see some very expensive cards long-term from this block. It is weird Wastes only says “basic land”, and not “basic land – wastes”. However, this land fits perfectly in the story-line, representing all those lands consumed by Eldrazis passage. Lands being consumed are often quoted in the lore. The fact they did not put a ‘land type’, allows to print a basic land, but in the meantime preserving the 5 ‘types’ of basic lands. I’m looking at that new basic land and thinking that we could potentially be in for some real action. If we are indeed looking at a legit new (non-)colour, what are the potential financial ramifications involved? Looking at the half-built colourless EDH deck I have have had in my draw for over a year, my immediate focus falls on the likes of Ugin, Karn (SG & L), Metalworker and all those colourless EDH staples that are likely to jump. What do we all think around here? While it could still be a fake AND we don’t know new rulings, it could also be a game-changer. — If it’s in the CMC, it means “Pay or (2)” much like the hybrid mana on cards like Spectral Procession that say “Pay W or (2)”. So Wastes help cast cards like Kozilek without making Kozilek uncastable without them. — If a cards adds then it can either pays for or adds (1), which makes them strictly better than a card that just says “tap to add (1). This would solve the parasitic problem. Lol, it’s deleting my attempt to make the diamond symbol which will make my post a bit harder to understand but should still be comprehensible. But introducing Wastes would technically reduce the potency of the fetch cycles. That, in turn, would likely also increase (vastly) the chances of more and resupported “basic tutors”……like we see in the new green land in BFZ. And Sylvan Scrying WAS just reprinted….. Remember how cheap Nocturnus was when it made little design sense in the card pool it started in? Then shot to, what, 20x? We should be scouring BFZ for potential clues for cards which currently make little/no sense. The 2 set block is a new thing. And sylvan scrying + landfall may push towards a stronger support for Wastes being real…..
….but what do we think about the issue of removing the ability of the (currently existing…) fetches, as a collective, to get us ANY of the basic lands, by naming each TYPE? I have said many times before, the fetches are a great insight into the design challenges involved in making a tournament staple-in-a-can. Fetches are OG power level in design: that 1 life cost had to be there or the fetches would clearly and overtly break the (now less relevant) obsoletion rule. 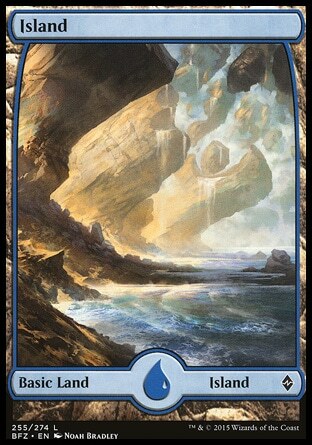 It also fundamentally improves every existing card mentioning just basic land status rather than (sub)type. Also raises many issues about duals, what, we get a FULL set to match Waste to the existing 5…? Wastes fetches too? But then….that WOULD help fill an entirely new bag of expeditions, too. Lion’s Eye Diamond sure does work great with Kozilek… just sayin’..
First off, don’t think either are real. But to play devil’s advocate, the rarity symbol on the Wastes. You said it was an oversight on the person who printed it. Well, what about the fact that bfz basics have rarity symbols? read an idea somewhere that the Diamond casting cost is simply a cost that MUST be paid in colourless. since other basics only produce the colours of WUBRG they cant be used for that cost. its not really possible to play decks without the current basics and these will fill the gap. Pain lands however can be tapped for colourless which supports why they were reprinted as well. Pick up your colourless rare lands from BFZ they might be in for a spike. 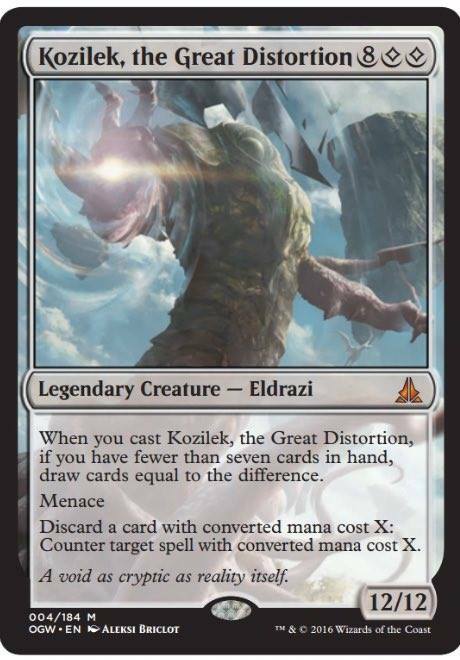 I like that interpretation of the Diamond casting cost, and it makes neo-Kozilek fit perfectly with the two colorless produced by Kozilek’s Channeler. This idea makes Shrine of the Forsaken Gods a lot more understandable for it rarity. I feel like the waste land might serve as a sort of token. There may be some mechanic that says something like “turn target land into a waste” or some such. This would be the token to put over it. Similar to the manifest or morph tokens. This would explain why it is listed as a common rarity and not as a land. That’s my 2 cents. I feel as if these spoilers are the real deal, due in part to the converge mechanic that seemed lackluster in BFZ. It’s domain in everything but name, and some cards with the keyword (Radiant Flames, Painful Truths) become more powerful and easier to play in two color decks as long as Waste is in fact a basic land that only taps for mana with no color. I’d reevaluate now the power of the cards in print if this is true, and invest before the spikes go rampant.